Held exhibitions in art galleries throughout the Kyushu, Shikoku, Chugoku, and Kansai areas. Held a solo exhibition and a workshop at the Honolulu Academy of Art's Art Center in Honolulu, Hawaii. Currently, I am working on a broad range of free-style projects such as noren (Japanese curtain-signs) tapestries, interior fabrics, woodblock prints, and illustrations. 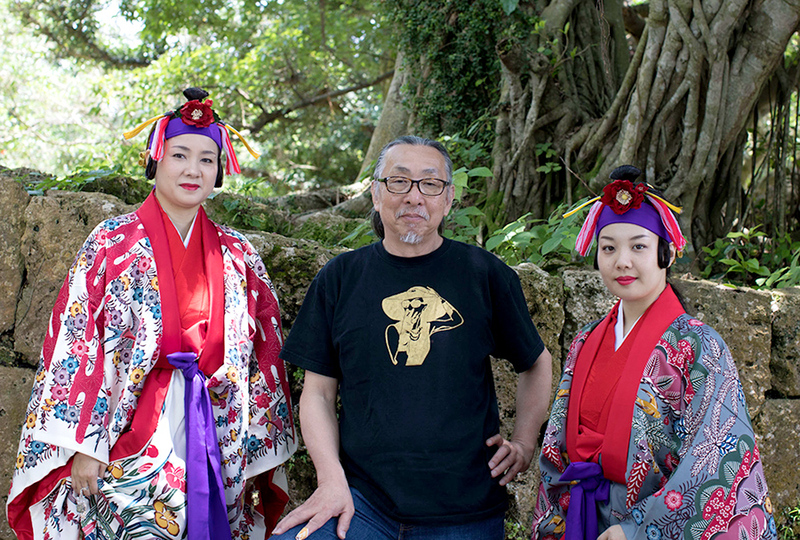 Also, I am deeply involved in designing traditional works such as Ryukyuan dance costumes and obi. translated by Dennis Kelliher © 2017 YOKOI YUSUKE WEB GALLERY. All Rights Reserved.